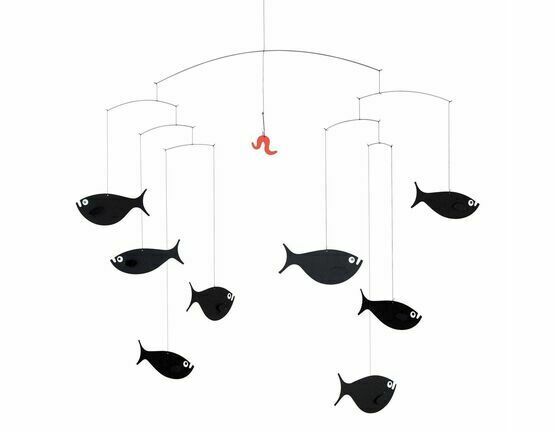 A beautifully designed mobile with a fishy theme. 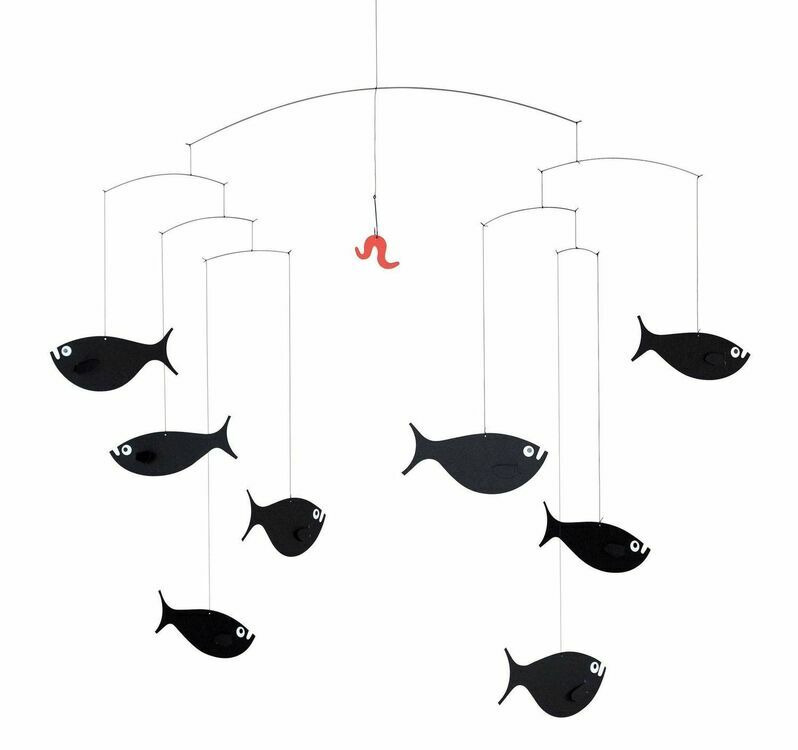 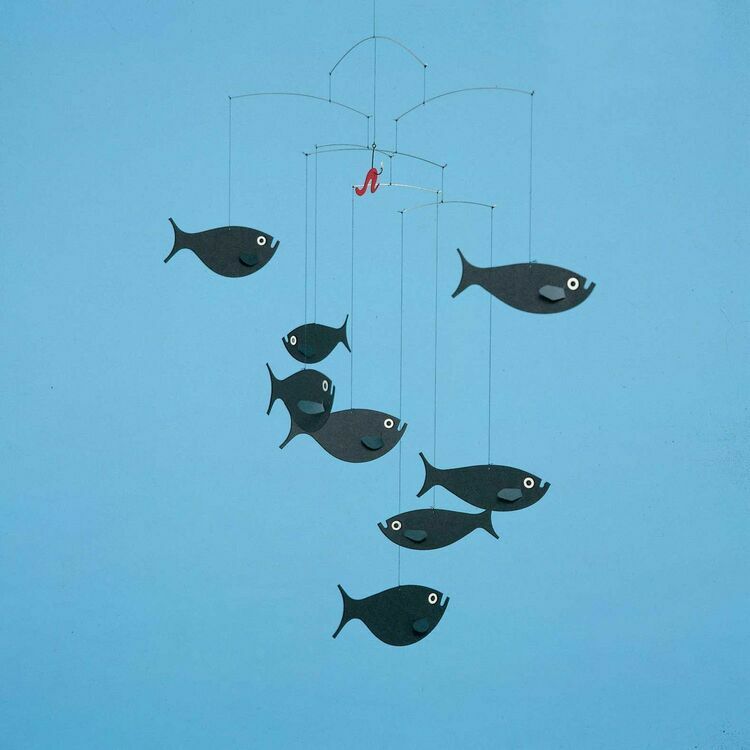 Eight black fish move ceaselessly, lured by the bright red worm dangling on a hook. 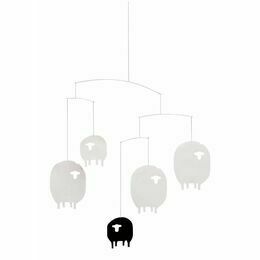 But would it be a tasty morsel? 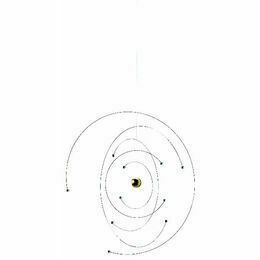 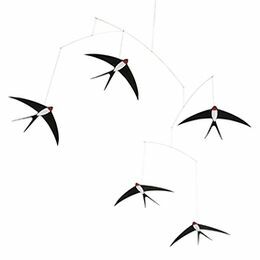 The Flensted Mobile studio has designed their mobiles to be in perpetual motion, while maintaining a constant and harmonious balance. 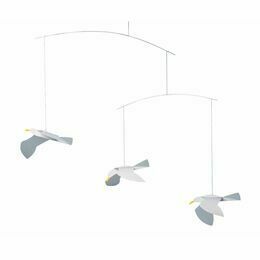 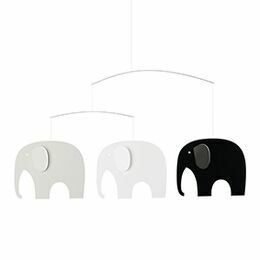 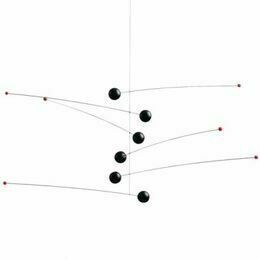 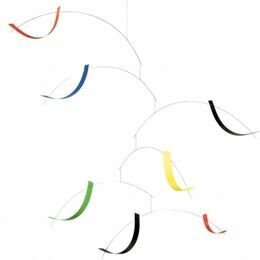 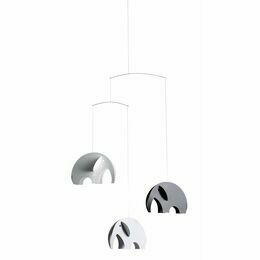 Handmade in Denmark, the Flensted mobiles were created in 1954 with an artful and minimalist design. 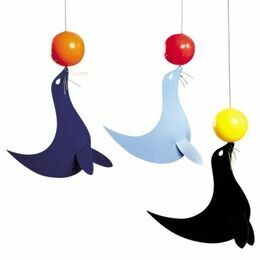 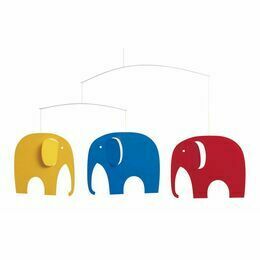 They are thoughtfully produced and perfect for any child's room.